Van Wolputte is a graduate of St. Lucas Antwerp, 2006. 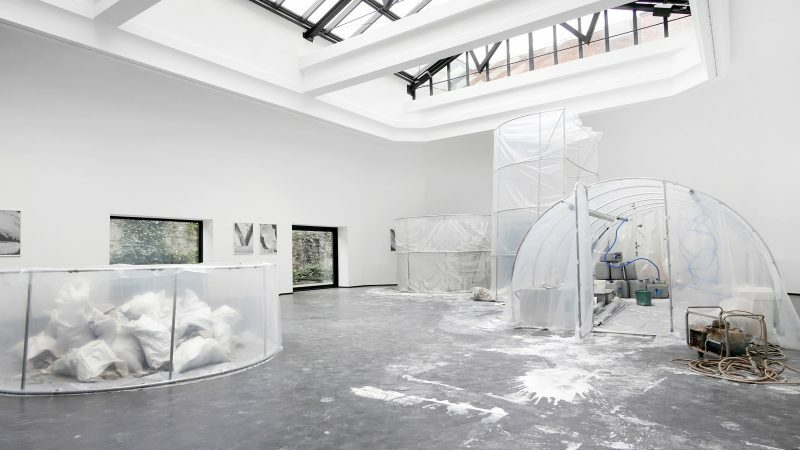 From 2008 until 2010 he was a resident artist at the Rijksakademie van Beeldende Kunsten in Amsterdam. Philippe van Wolputte’s installations, interventions and collages show or suggest the possibilities of abandoned, neglected locations which have an important function in the memory and the social landscape of a city and in a way possess a beauty of their own. The artist’s interpretation of his experiences in creating his interventions and the intimate manner of viewing these spaces are documented in his photographs, video works and collages. Since 2005 he started a project called Temporary Penetrable Exhibition Spaces which are site-specific interventions that occur in vacant disused spaces. These buildings are typically demolished by developers and city councils as quickly as possible. The rapid measures taken to demolish these unused spaces are a way to exclude everything that is irrational, chaotic and seemingly unreasonable in urban planning. The TPES project draws attention to the existence of these spaces by making them accessible again for a short period of time. With an almost Freudian-like obsession, using narrow corridors and holes, he creates new passageways and infiltrates nearly impenetrable spaces, giving them a new temporary function as a fictional exhibition space. His installations are recreations of visited uncanny locations which he discovered during his explorations. He questions the functionality and possibilities by turning them in temporary hideouts or artists work bases. In the documentation of his interventions he plays with the fetishes of art documentation. By doing this, fiction and reality blur into each other. Philippe Van Wolputte will present a new installation at GALLERY GALLERY which functions as a film set for a future video work of which the viewer will become a part of, depending on their urge for a drink during their visit. On the occasion of the collection of GAGARIN magazine's entire oeuvre in one box, a selection of short films will be screened at Cinema Zuid. and proposes five gestures to experience the city from an alternative viewpoint.